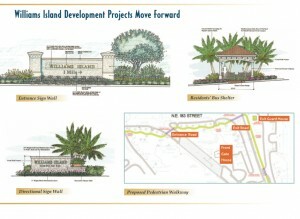 The prestigious South Florida community of Williams Island is about to get even better! According to the most recent news, Williams Island is about to get a new guard gate and monument! Continue reading to learn more about these recent developments, and how it will complement Williams Island’s existing reputation for excellence. Williams Island is a luxury community comprised of 8 condo towers, the Mediterranean Village, Villa Flora and access to Island Estates. The beautiful residences that comprise Williams Island range anywhere from 2 to 6 bedrooms and come with 1,580 to 5,030 square feet of living space. And now Williams Island is about to become an even better place to live! 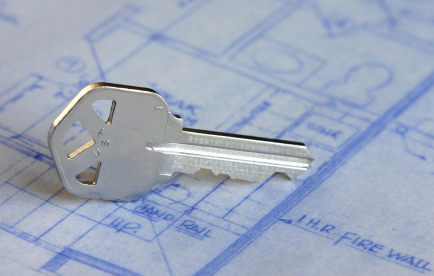 As part of the renovation project, there will be an expansion of the present gate house to include additional security equipment and monitoring systems. What’s more, the renovated gate house will now hold the human resources department. While construction on the Porte Cochere, front gatehouse and Williams Island monument had already commenced, construction on the resident gate and exit guard house will not be completed until after the Bellini building is constructed. As you can tell by the recently approved renovation projects at Williams Island, the community is thriving and constantly striving to better serve its residents. Even before these renovations began, Williams Island was already a premier South Florida community. 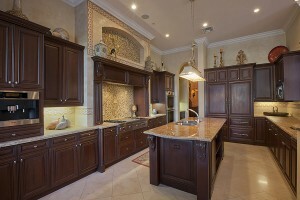 Now, it is bound to be an even more desirable residential community on the South Florida real estate market! For more information on living at Williams Island – or to inquire about available listings there – please contact me, Scott Patterson, today! If you’re the kind of discerning South Florida home buyer who values luxury, prestige and elegance, then you’ll be thrilled to learn about the most recent new listing on the South Florida real estate market. An 8,400 square foot home in the elite Villa Flora community of Williams Island was recently listed on the Aventura real estate market. There are only 14 homes in this exclusive Aventura community, so it’s a rare treat when one of them becomes available for purchase. Continue reading to learn more about this magnificent Aventura home for sale and how it can become your dream South Florida home. The home located at 1524 Island Boulevard is an impressive architectural feat, even by the high standards set by the gated Villa Flora community. This Aventura home is situated on point lot, the largest lot in the community and provides incredible, unobstructed views of the bay. Built with the highest-end materials available, this South Florida home features 6,596 square feet of living space, including 6 bedrooms and 7.5 baths. This incredible South Florida home is currently listed for $4,500,000. Contact me, Scott Patterson, today for more information on what this home in the Villa Flora community has to offer. There’s a new South Florida luxury condominium community coming to Aventura, Florida – and this one is sure to raise the bar when it comes to luxury South Florida real estateBellini at Williams Islandwill feature 70 spacious units – all of which are waterfront.Prices for this amazing South Florida condominium community start at $425 per square foot, with just four units per floor on most levels. Continue reading to learn more about what this brand new South Florida luxury condominium has to offer interested Aventura home buyers. 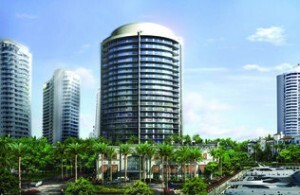 Bellini at Williams Island, located at 4100 Williams Island in Aventura, was developed by Martin Margulies. This impressive 24-story condominium features units that range from 2,235 to 4,974 square feet. Bellini will occupy the last remaining residential site at William’s Island, which in and of itself has become synonymous with upscale luxury living.This Aventura condominium is scheduled to be completed in 2011.If you’d like to be one of the lucky few who call Bellini at William’s Island in Avnetura home, then contact me, Scott Patterson.As your South Florida real estate expert, I’d be happy to answer any questions you might have as well as give you more information on Bellini.